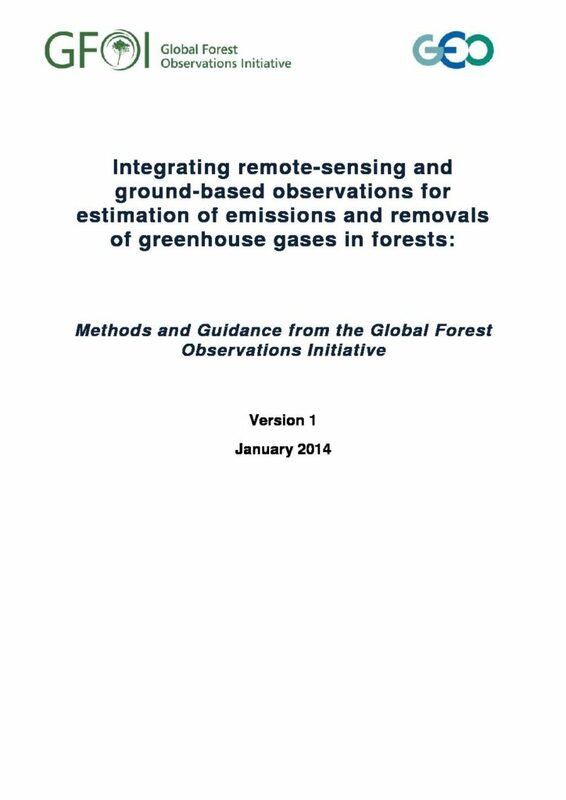 The Global Forest Observations Initiative (GFOI) was established1 by the Group on Earth Observations in 2011, to assist countries to produce reliable, consistent and comparable reports on change in forest cover and forest use and associated anthropogenic greenhouse gas emissions or removals. Methodological advice and assistance with data access provided by the GFOI is potentially of interest to all countries wishing to make use of remotely sensed and ground-based data for forest monitoring and reporting. The initial focus is on reduced emissions from deforestation, forest degradation and associated activities, called REDD+5 in the climate negotiations.